TriAttic offers the highest quality Coaching Services available for endurance sports athletes. Whether you are training to finish your first triathlon, wanting to qualify for Kona, or run a marathon, TriAttic has an approach for you. Choose from a variety of personal coaching packages, customized training plans, or downloadable pre-built training plans. Our mission is to provide you with the tools and skills to achieve your goals. Additionally, we also help our athletes understand their unique capabilities, individual strengths, and personal limits with scientific based measurements. TriAttic provides a growing range of Performance Testing Services. We believe that coupling quality training with objective measurement athletes can dramatically improve their performance results. TriAttic's Personal Coaching Services are delivered through various types of training plans that are based on individual physiology and created according to your experience, needs, goals and lifestyle requirements. Coaching is managed through Training Peaks Professional Software and allows us to actively communicate on your progress and analyze your training development. There is no limit to the amount of advice or guidance specific to your plan. We provide weekly review and adjustments to your training plans based on your feedback. Additionally, we offer one on one sessions to work on technique, motivation, drills, and more. Contact us for assistance in selecting a plan that fits your needs. 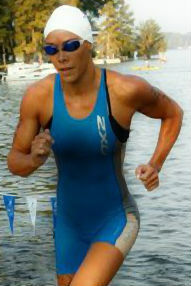 Triathlon Coaching plans focus on all disciplines of triathlon: swimming, biking, running, and transition. Our approach strives for improvement in all disciplines; we will work on keeping and enhancing your personal strengths and improving on your weaknesses. Triathlon Coaching plans start at $200/month. Group Triathlon Coaching is available for groups of 4 or more at a discounted rate. Personalized Single Sport training plans are isolated to a specific discipline, swimming, biking, or running. Personal improvement is focused on a specific discipline, and training plans can be coupled with one on one sessions to enhance the results. Single Sport plans start at $150/month. Our Race-Event specific plans are built off our experience of what it takes to achieve success in all of the disciplines of endurance racing. These plans are pre-built and delivered through Training Peaks. We also will customize event training plans to personal abilities and goals. Prices vary on length of training plan and event type. Race-Event Plans start at $100. Are you just starting out, do you want to lose weight, or are you wanting to get to peak performance? TriAttic offers VO2 and metabolic rate testing to get you there. Don't rely on generalized formulas to estimate your training zones. Determine your unique level of fitness based on scientific measurement. VO2 Testing measures cardio fitness, peak oxygen consumption, aerobic and anaerobic threshold, target intensity zones, and calories burned at different heart rates. The results of the test are used to calculate your Individual Heart Rate Training Zones for recovery periods, endurance training and interval training. These zones are based on each athlete's UNIQUE anaerobic threshold and individual fitness level and genetics. Single test is $150. Bike and Run tests are $275. Metabolic testing measures the calories you burn at rest. Based on your RMR from the test your Target Caloric Zones will be calculated. Having these zones will provide you with powerful information to help you lose weight. RMR test is $100.